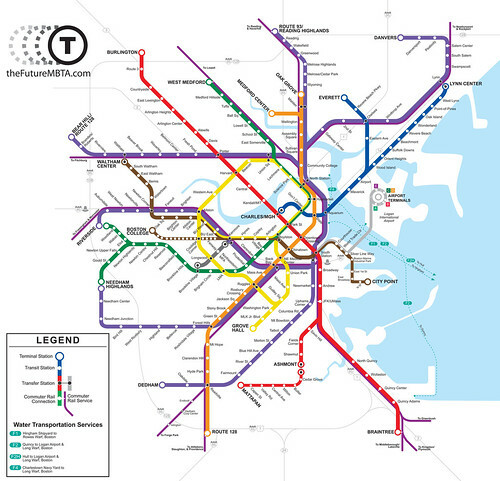 That's right, you can now purchase one of my awesome FutureMBTA maps thanks to the good folks at BostonCoasters.com. We are selling my map on coasters, journals, mouse pads, messenger bags, t-shirts, and in full sized prints. I got mine in the mail the other day and I can't stop holding it. The printing is really good quality. Check out the store right here. At BostonCoasters.com you can also check out work from other emerging artists and get great Boston related products. I know there are a fair number of fantastic photographers on this board and Boston Coasters lets you just sign up and upload your work to be printed on a bunch of stuff. You should seriously check it out. Re: FutureMBTA Maps for sale! Nice. When does construction start? I notice SHIFTBoston has also made a post about your work. It's probably the only practical work which will ever be featured by that organisation. The thing about the SHIFTBoston site is that they only posted the reader submissions, not any or my maps, and didn't ask to boot! More reason for me to hate them.